Mon through Fri 4 PM - 6 PM *all evening at the bar! Little Next Door / LND is a modern AMERICAN / FRENCH Brasserie & Wine Bar featuring market-fresh, local and seasonal fares, providing weekend brunch & dinner services. These include a good selection of appetizers, dinner specials, French specialties, sandwiches, eggs benedicts, waffles, freshly baked cakes & pastries and wines from around the world for dine-in or takeaway. Don't miss the Monday Nights Moules-a-go-go ( all you can eat mussels for $15 ), Happy hours during Monday through Friday 4pm - 6pm, 50% off on wine bottles at the bar on Sunday nights, bottomless Mimosas served between 9am - 12pm on weekend brunches and monthly every 3rd Thursday Winetasting party! Order Birthday Cakes & Mini Desserts for Special Events! From our Pastry Kitchen; Order Birthday Cakes & Mini Desserts for Special Events! Treat your mother to a special brunch paired bottomless "mom-mosa" or a nice family dinner that would surely impress her by wine and dining her. Let's Celebrate Bubbles, Bunnies and Brunch with Homemade Easter Desserts, Egg Hunting in our enchanting Garden Patio at The Little Door For Dinner, Chef's Special Fare offers a great deal for Sunday Supper! 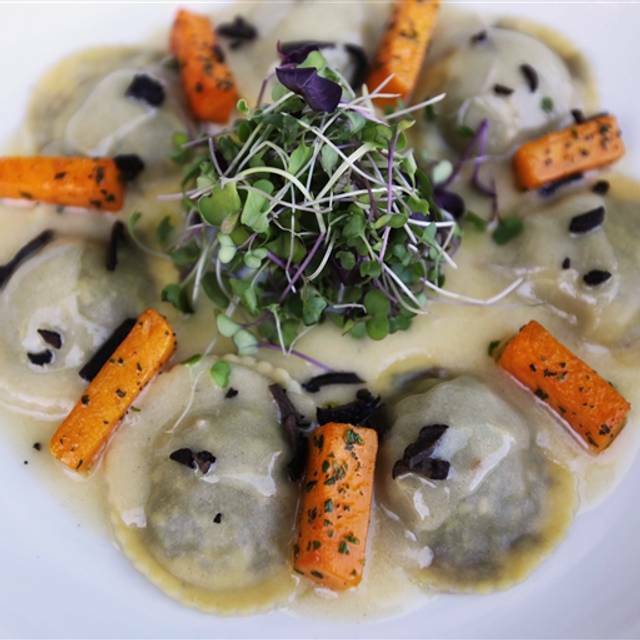 LND is one of the best restaurants in LA. The staff is always friendly, food is always on point, and the price point is just right. Always our go to place. Customer was horrible. We’ve asked for coffee many times and nothing. I would understand if was busy but it was not.. she was more attentive to other table. Yesterday is my girlfriend’s birthday. I made a reservation and took her to this restaurant. After ordering the food, we waited for 1 hour! We just ordered the steak and mussel. And we miss the film time at 10 pm. We love coming there. The food is always consistent and good- their patio is super cute and welcoming to families. But their server was no where to be seen, however their current hostess went above and beyond- refilling water, asking if we wanted crayons for baby and checking on us when she noticed we were looking around. Their bussers were also around clearing table and courteous. Brunch with family. Food was great and service was good. Great cappuccino and lattes. We’ll definitely come back. Loved the place. The pasta linguini wasn't very good... thick and tomato pasty. My husband's chicken was better (good but average) and our friend loved his steak. It was also nice that they cooked his steak medium well with out him having to send it back. I know medium well isn't considered classy, but it is annoying when a friend send it back... as if to say this isn't how you should order it. I appreciate that. The atmosphere was perfect as was the wine paring. Only had the whitefish but it was outstanding. Our server seemed a bit phony and in a rush. Would go back though. The fish was incredible. Great neighborhood spot. Fantastic food and people watching. Food was excellent as usual. We enjoyed our experience and Little Next Door is one of our favorite. See you soon!!! 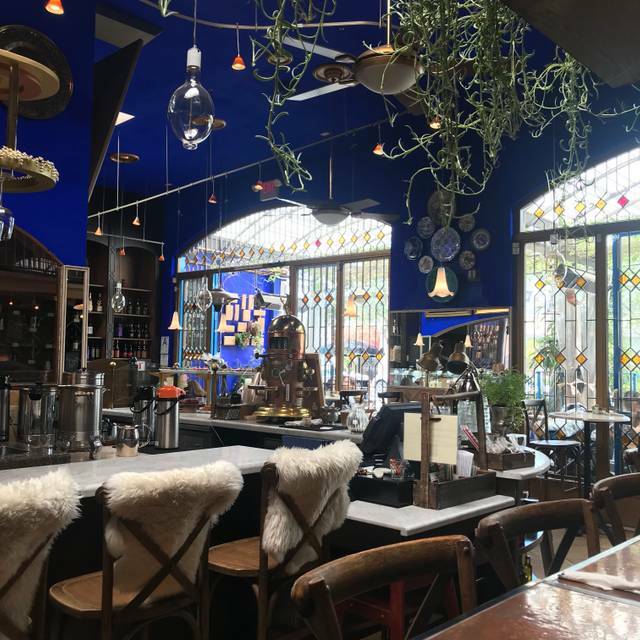 Artful and delicious breakfast spot! Overall a fantastic experience! Beautiful environment, great food and service. We came here for a friend's birthday I arranged us to get together for and all my friends loved the place. Food is traditional French, so if you're looking for innovative stuff, this isn't it. If you're looking for really great standard French classics, this is a great bet. I had several fresh oysters which were perfectly presented with a lovely mignonette, escargots that were good (cold have used a little more butter and garlic), and went for the prix fixe options of the terrine board and boeuf bourguignon. 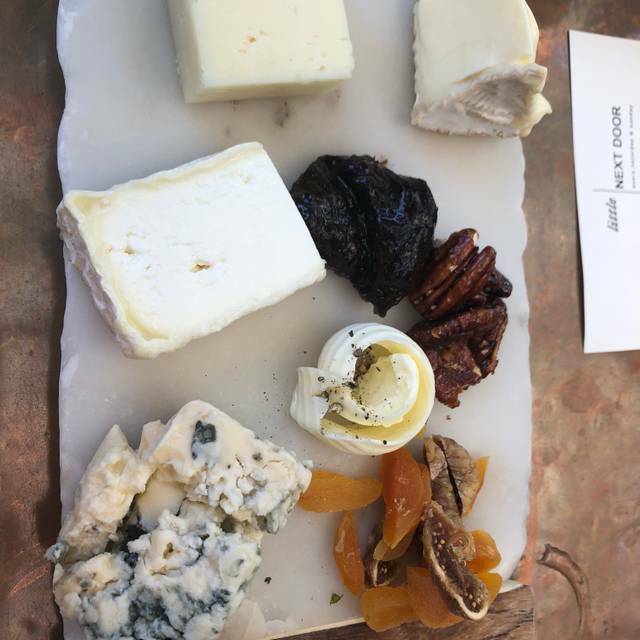 The terrine platter was generous and delicious. The beef was only mildly disappointing in that I have had better. It could have been a little more tender and more generously cooked in red wine. I missed the melt-in-your-mouth quality that this dish can have, and the richness that more red wine adds to this classic dish. It was not bad, just not the best. All wine ordered was fantastic, and the coconut cheesecake DID melt in my mouth. Definitely worth checking out. The Country Terrine was delicious. It was just the right amount of food for an appetizer. I would go back just for this. As for the Beef Burgundy, it was very dry so I’m not sure why they called it a stew. It could have been good if it had a lot more sauce. If I go again, I’ll most likely try the Moules Frites instead. Lastly, the chocolate eclair was pretty good. Excellent food. Free wine tasting and I enjoyed them all. Service was wonderful. Will be back! What a lovely place to celebrate a 16th birthday! Delicious food and great service. We will be back! My favorite spot in LA! Very nice dining experience all around. Food was excellent, not incredibly interesting or over the top creative. But still, a good place, nice vibe, I would go back. The AYCE mussels were exquisite. The chocolate soufflé was so delicious and decadent. The wine selection was amazing. Unfortunately the service was a bit sparse. The host stand didn't have any back up and we were left there standing for a few minutes. We were greeted eventually and seated. After that we had to hunt down and ask for our server which given the price range of this place shouldn't have occurred. The meal was excellent but the service needs a step up! what a lovely experience! we usually go to the Little Door (and love it), so wanted to visit next door as well! Went for brunch and my only complaint is that they were not particularly prompt with the refills on the bottomless mimosas. I wanted 1-2 more in my time there. Overall the experience was amazing! Food was delightful! This restaurant has a great vibe but the food was awful. For the price the food is very mediocre and not good quality. Disappointed. Music super loud, too many tables in the place so we touch elbows. Service is understaffed and always running. Food was good and real French recipes. Little Next Door is our very favorite French bistro - great food, great wine, great service, great ambience. I always love hanging out the little next door. The wine list is really spectacular & the food it super fresh & tasty!! Service is always on point. They know how to take care of you! Lovely setting. We sat indoors as it was our choice that evening. The outdoor terrace is always delightful. Four of us fined and none chose an identical meal. All diners were very happy with the food. Service was excellent. 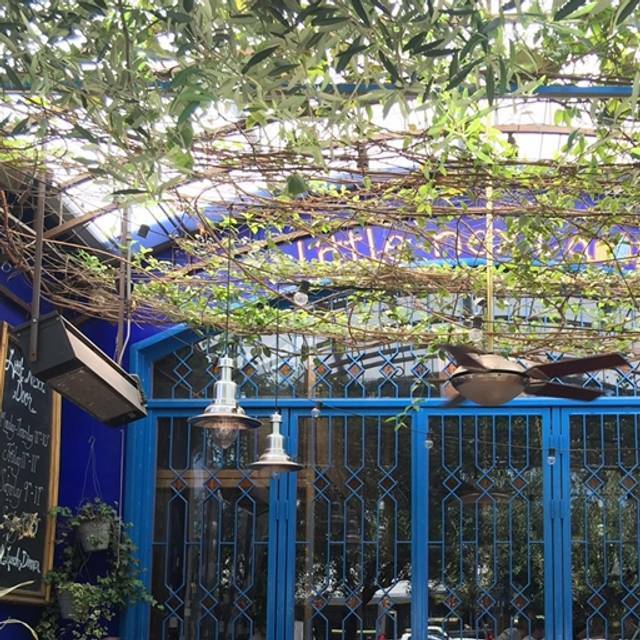 French bistro style dining seems to be makings come back in LA, but Little Next Door has been doing a lovely job for many years. Great time at little next door! Awesome food and great service! Loved the vibe!! My wife and I enjoyed our Valentine’s Day one day late in order to avoid the crowds and we chose Little Next Door. It was a pleasurable experience and look forward to our next visit. We went for Valentines and had the option to take the pre-fix menu or not. We chose to explore the menu and asked to try a dish on the pre-fix which was ok to do. Just the right amount of herbs and spices. I'm not a person who ever writes reviews but everything was super great. i came here with my girlfriend for valentines day and I can't find one thing to complain about. Really cool decor/setting with absolutely delicious food. We had the the almond crusted fish and steak and frites as well as a really good charchuterie board and some kind of incredible cake. Their wine selection is impressive and they charge a $25 corking fee if you'd like to bring your own. The setting is romantic and stylish but still casual. thank you! Everything was fabulous. Best Valentines Day ever. 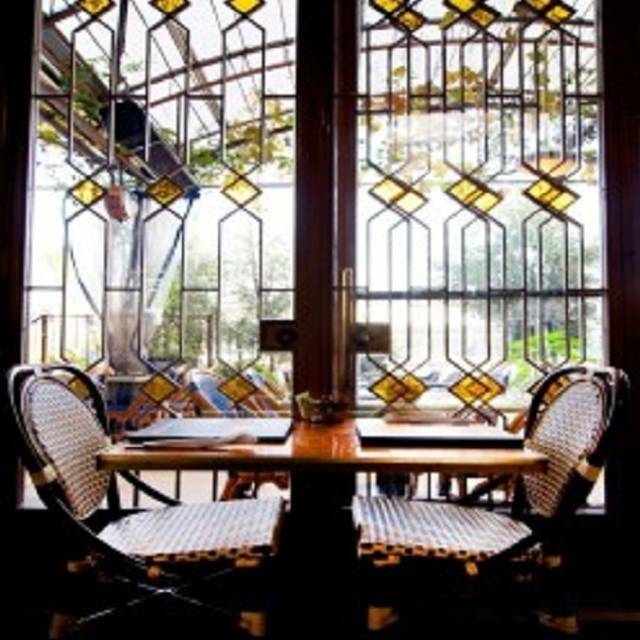 We come here often, good food, great french cafe/eclectic ambience. Their Valentine menu had something for everyone, plenty of food...too much food. Great food, amazing staff, great ambiance! Food was very good, but in small portions. Service was friendly and timely! I had hoped to pace myself so as to only drink one glass of wine, but after twenty minutes of waiting between courses, I ended up finishing my first glass ... and, as if right on cue, the second course arrived just a few minutes after that. So it was either order another glass of the red bordeaux (which was tasty, yes), or eat my meal sans-wine, which seems to really miss the point of enjoying a night out, no? So, naturally, we ordered a second round, but that was certainly not the intention. So ... the food was good (especially for a 40/pp pre fixe three course meal), the wine was delightful, the ambiance sublime, but the waitstaff leaves something to be desired. But perhaps they're just emulating that Parisienne "charm." 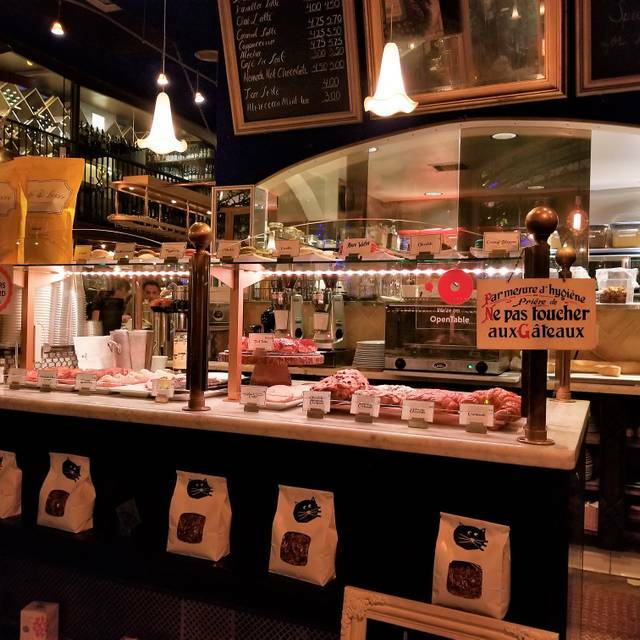 A local gem serving real French food, Little Next Door is hardly the "little sister" of the Little Door (next door). 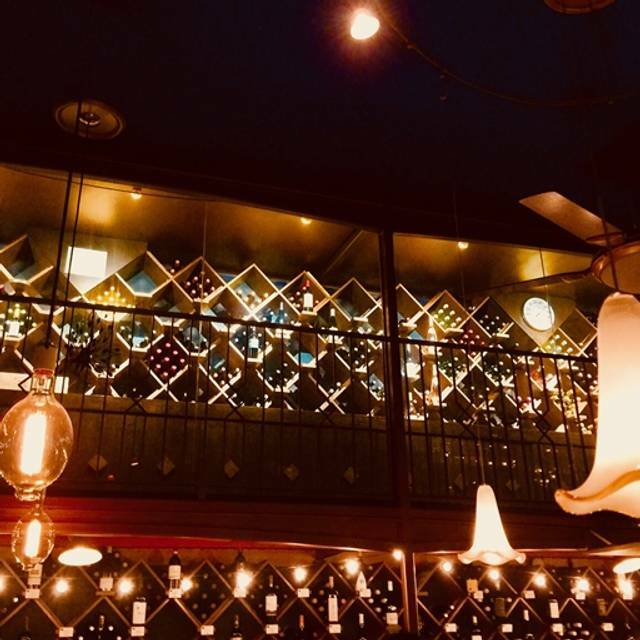 With robust flavors, fresh ingredients, a terrific wine list, the Little Next Door has a pervasive high cuisine/uber Boheme feel that makes it a perfect special place for friends to meet. 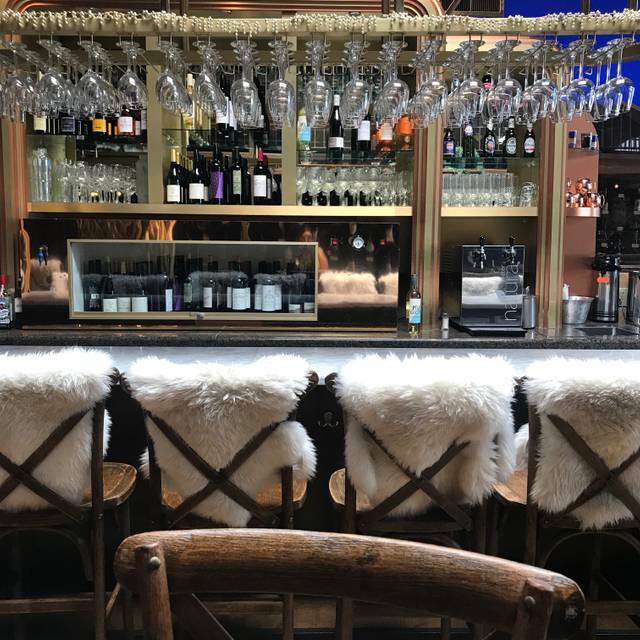 Reasonably priced for what it is, with a diverse menu ranging from oysters to steak frites, chèvre salad to soufflé's, if you can salivate for it, they've got it. The food was outstanding. I truly enjoyed myself. It was my Mom’s 75th birthday and my sister and I wanted to take her out to a nice place that wasn’t too crazy pricey. This place was a great choice! The ambience is great. Really good lighting and tasteful decor. The food was delicious! My only gripe is with the waiter. He was French and kind of rude. We all kind of laughed it off, but he would turn away from us and walk away before we would even finish our last sentence. He seemed a bit condescending too. Excellent evening. We had a lovely indoor table and an incredibly attentive and gracious server. It was a very enjoyable celebration. Food and wine were wonderful and the pace perfect. 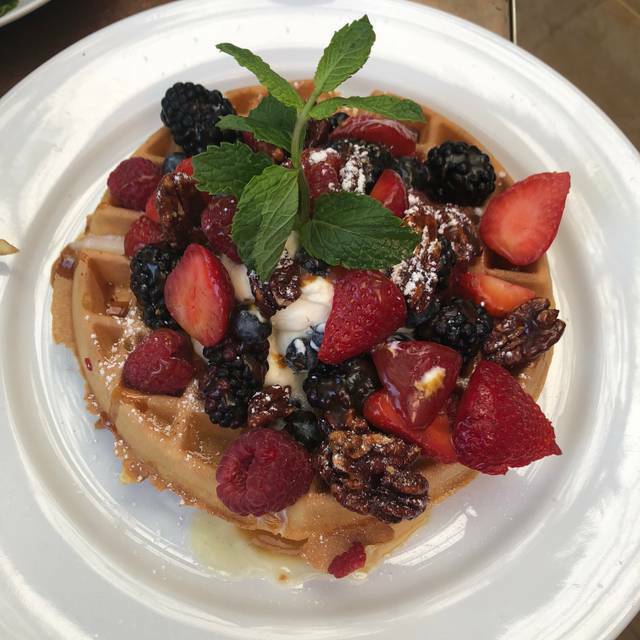 LND has and will continue to be a Los Angeles favorite for brunches and dinners.